If you are considering moving yourself to save money, why not take a look at our top removals tips to help you save money on your move to get a professional moving service on a budget. For any move, it is important to ensure you have insurance in place to cover the removals of your items. Hiring a removal company will offer more protection for your belongings, as some insurance policies will only cover your move if your items are packed and moved by a professional company. When you receive removals quotes through Go Panda Removals you are guaranteed a company that has the appropriate insurance in place for moving your belongings, so you can be confident of the safety of your goods. 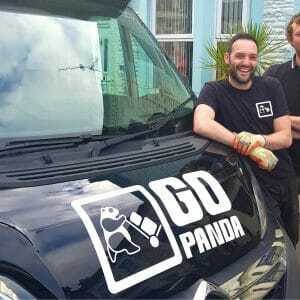 To find the best price for a quality, skilled removal company, get quotes through Go Panda Removals to make sure your belongings get to your new home safely.